Lock in a great price for Mareta View - Boutique Bed & Breakfast - rated 8.5 by recent guests. Very nice place to stay. Room was clean. Good breakfast. I'd choose this place again. The view from the room and the room itself were excellent (we stayed in room 210), the adjacent coffee shop and Italian restaurant were of a high standard. And as a resident of Mareta View there was a 10%discount at both. The location is excellent and the breakfast was wonderful. The lobby is also very nicely done and the WiFi is good. 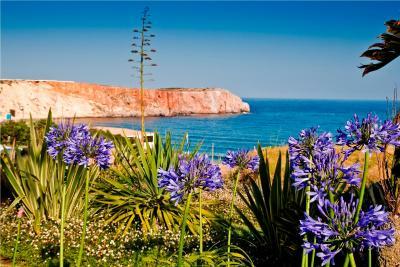 My second trip to Sagres and second stay at Marreta View. Great location, comfortable place with an amazing garden. 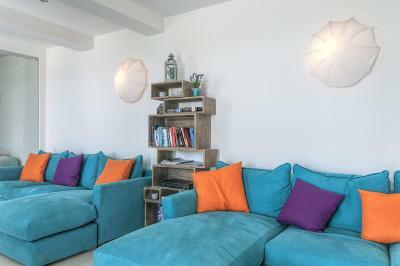 The rooms are simple, clean and comfortable. I recommend the rooms with a balcony. The breakfast is good, lots of coffee options. 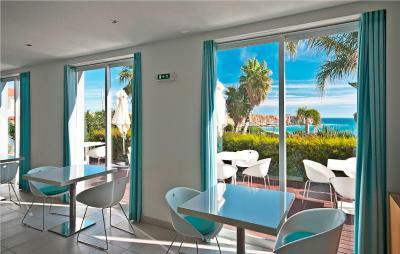 Staff very accommodating, beautiful garden area leading to beach, lovely finishing touches, discount at local pizzeria. We really liked the interior of the hotel and the view as well. Breakfast was good too. Sea view is great (if you book the respective room). You can walk to the beach in only a few minutes. Amazing sunrise view from my balcony! Super friendly staff! 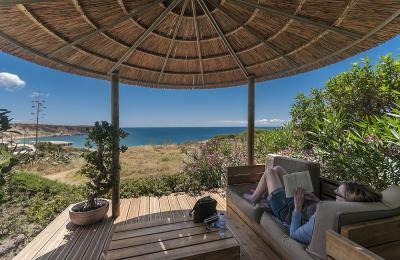 One of our top picks in Sagres.Overlooking Mareta Beach, this modern boutique hotel in the heart of the Sudoeste Alentejano e Costa Vicentina Natural Park offers a tropical palm garden with a sundeck and hot tub. 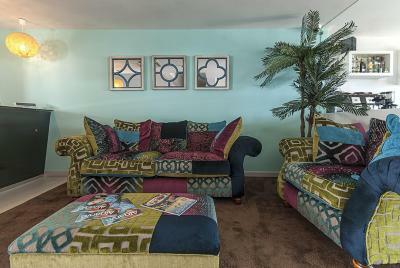 The guest rooms of Mareta View - Boutique Bed & Breakfast have a turquoise colour scheme and include 24-hour room service. They are equipped with a flat-screen TV and air conditioning. Rooms are accessible via stairs only. 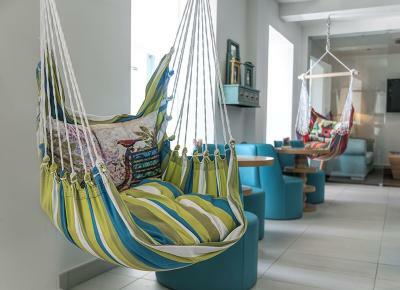 Apart from a daily continental breakfast, guests can enjoy drinks and snacks at the Ocean Bar. It has a large TV screen for important sports events. 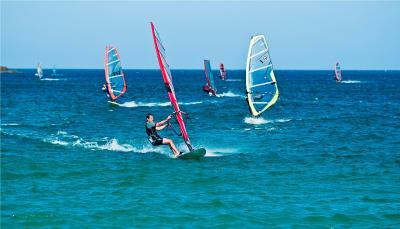 Guests of the Mareta View can make use of the hotel’s car-rental facilities to explore nearby beaches and villages. 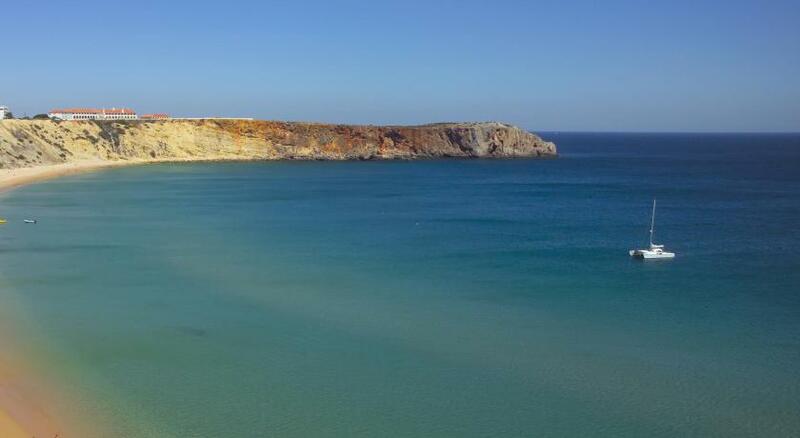 Sagres Fortress is a 5-minute drive away, while Lagos can be reached in a 30-minute drive. 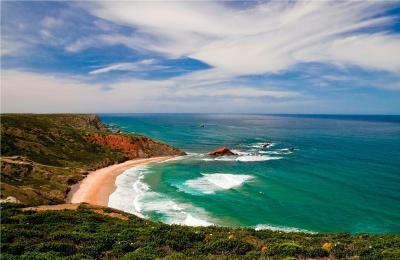 Mareta View - Boutique Bed & Breakfast has been welcoming Booking.com guests since 27 Apr 2007. 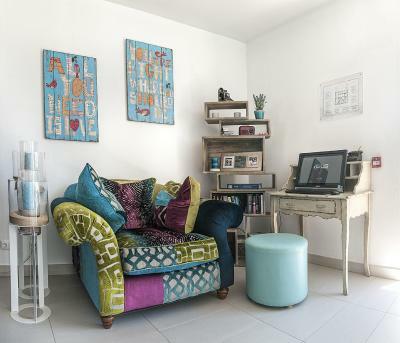 When would you like to stay at Mareta View - Boutique Bed & Breakfast? 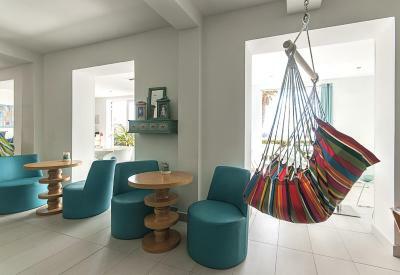 This air-conditioned room features a modern décor. It comes with a flat-screen cable TV and minibar. The private bathroom includes free toiletries. 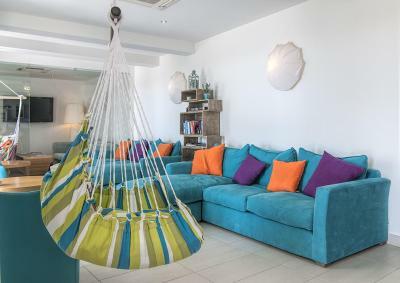 This room type offers a private balcony with views of Mareta Beach and the Atlantic Ocean. It features 2 single beds or 1 large double bed. 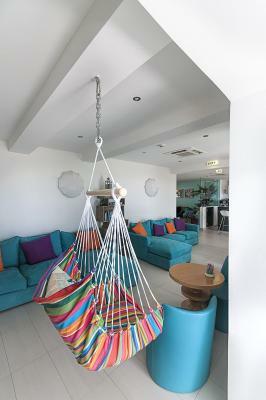 It also offers a flat-screen satellite TV, minibar and a bathroom including free toiletries. 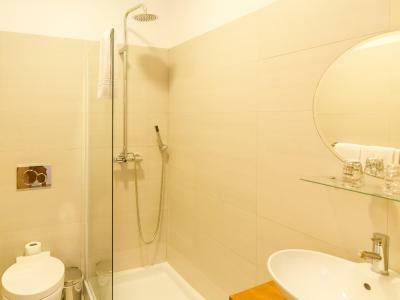 Located on the ground floor, this room is wheelchair accessible and features 2 single beds. It comes with a flat-screen satellite TV and minibar. The bathroom includes free toiletries. 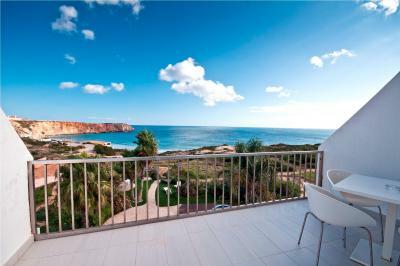 Overlooking the neighborhood of Sagres village, this smaller double or twin room provides the space you desire for a short break at an economical price. It is equipped with satellite TV and air conditioning. This room cannot accommodate a Cot or Extra Bed. The maximum occupation is 2 persons. Located on the ground floor, this room has a bunk bed and a drawer bed. It comes with a flat-screen satellite TV and minibar. The bathroom includes free toiletries. House rules Mareta View - Boutique Bed & Breakfast takes special requests - add in the next step! Mareta View - Boutique Bed &amp; Breakfast accepts these cards and reserves the right to temporarily hold an amount prior to arrival. Mareta View - Boutique Bed & Breakfast accepts these cards and reserves the right to temporarily hold an amount prior to arrival. Please note that guests should inform their invoicing details (name, address and tax identification number) at the time of the reservation. Guests wishing to shorten their stay after check-in date will be charged the original reservation amount. As with most beach properties, there was a slight smell in our room. Nothing too extreme, though. Great breakfast buffet and easy access to the beach. We enjoyed our one-night stay in our town-facing room. Room was small but clean and comfortable. Going in low season (March) meant that nothing was really open in the evening, but we enjoyed the low crowds and pleasant weather! That view! A perfect price and such an incredible view! Room with no lights, look on the street (if you choose the room with view on the "landscape"). No coffee making facilitys. Un friendly room. We loved all the pastries and coffee for breakfast! The pastel de Nata were delicious!! Clean and great location and coffee. The room was tiny and the bathroom even smaller. There was no room to move around in the room and the fridge made so much noise that we had to unplug it. The bathroom was also very squishy. I was hoping for a soak in the hot tub. It is offseason, but... it is a hot tub, not a pool! Was disappointed that it was closed.